Only 1 day remaining.. uhoh! 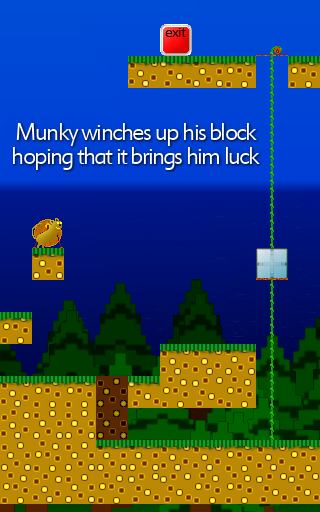 Munky's Block is graphically coming along nicely, but unfortunately I've yet to actually start making levels. So far it's all been "Niceness" stuff, and as a result things are lacking a bit. Probably should've stuck to the blocky background like last time. 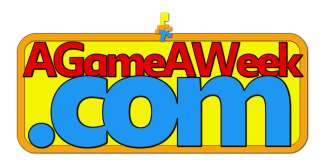 With only one day remaining, I'll be spending tomorrow messing around with the blocks, and trying to come up with some nice puzzle, and if I've some time adding music into the mix. I should probably add a level editor, too, but that'd be horribly rushed at this stage, so you might have to start ascii-tweaking to do any form of editing! Make sure you've got notepad on standby!